Kiwi 4 OBD adapter has arrived. 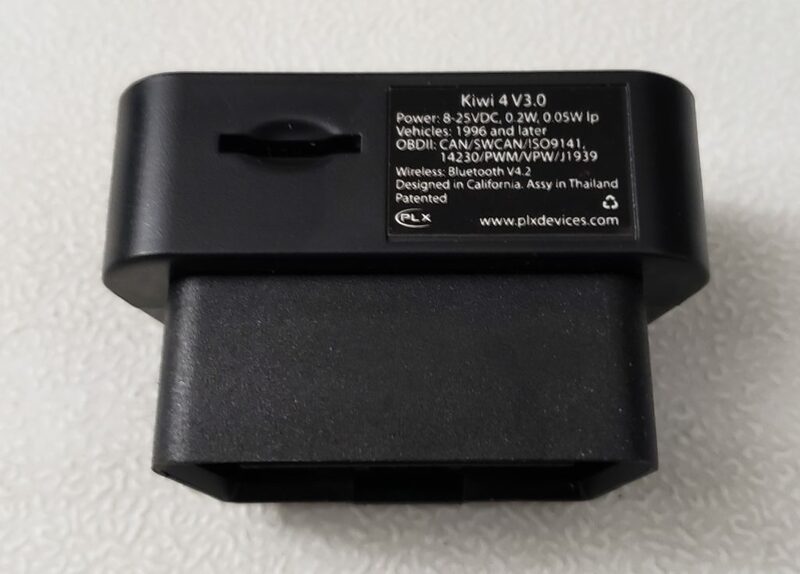 Kiwi 4 is the 4th gen of their OBD adapter. In 2018, the company started the Kickstarter project for their new adapter and gathered backers. Initially, the adapter was supposed to be sent out in November 2018 but delayed a few months. 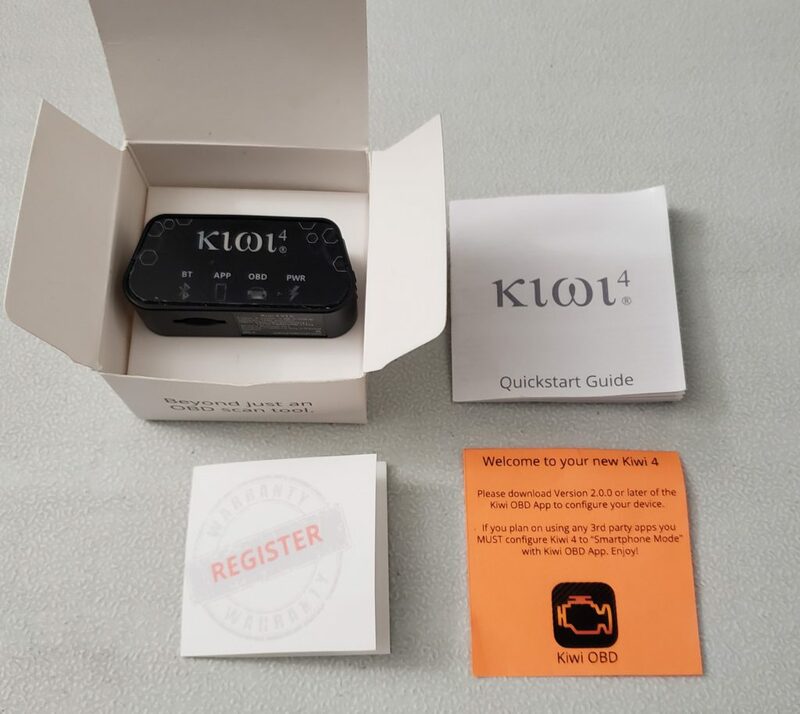 In the box, there are Kiwi 4 OBD adapter, Quickstart Guide, registration instruction, and a welcome note. Kiwi 4 is the same size as the predecessor, Kiwi 3. The dimension is 2″ x 1.3″ x 0.9″. At a glance, it’s very small, but actually it’s not. 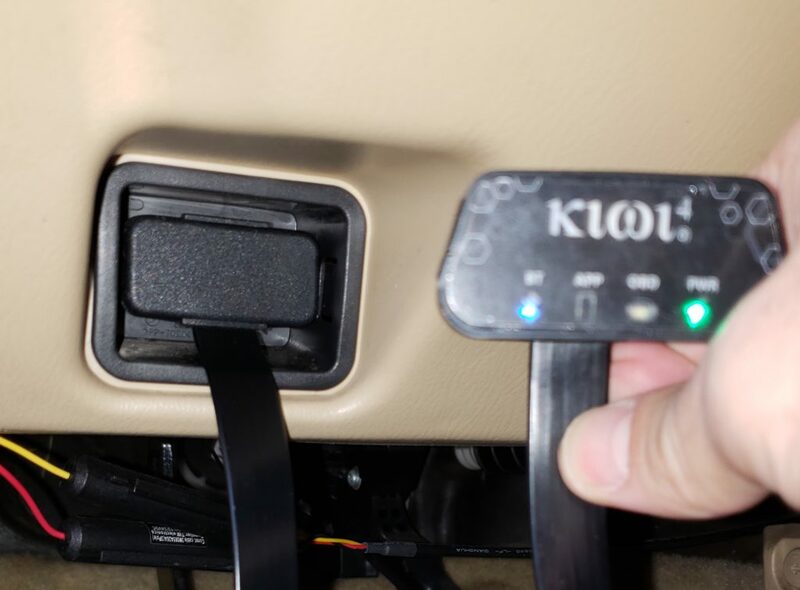 There may be a problem to plug it into the OBD port of some vehicles. None of other OBD adapters has such a problem, even BAFX Products or Vgate, which are generic and inexpensive adapters at literally fractions of cost. So, I need an extension cable. As promised, Kiwi app’s basic license is free, but it’s annoying that the buy-license popup every time I go to the home screen of the app. There is nothing impressive on the Kiwi app. It only works in a landscape mode. And unlike the Torque app, you can’t change the design freely in MULTIGAUGES. What’s more, it has a connection issue every time I re-open the app or change the apps from one to another. 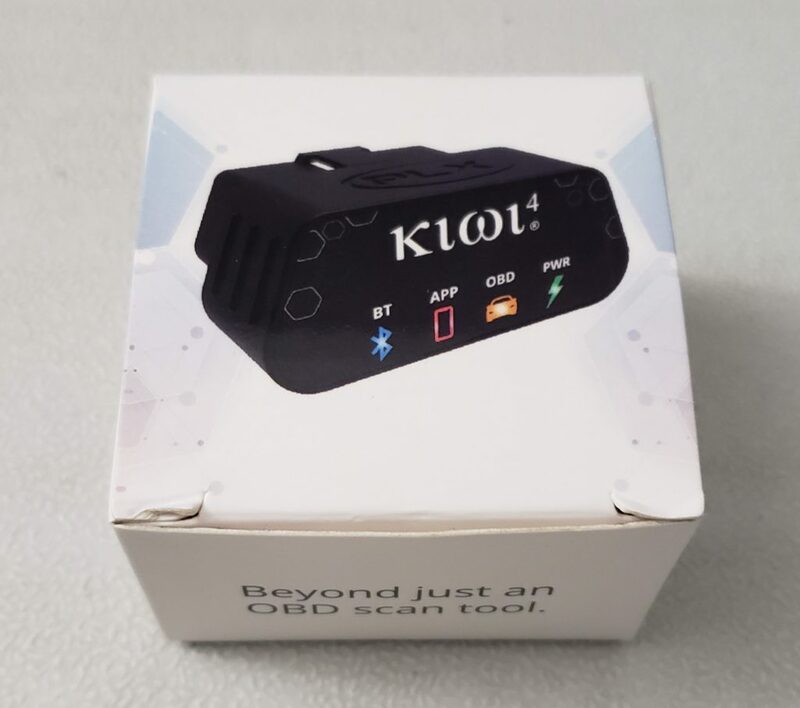 It seems that Bluetooth connection sets up without a problem, but communication with ECU won’t be established. So, I needed to unplug and re-plug to get it to work again. In the Kiwi app, there are other features, Video Overlay and Data Logging for free after you register Kiwi 4 for warranty and like Facebook page of PLX Devices. However, there is no point of trying them as long as it has the connection issue. A micro SD slot for Self-Run mode is the feature you can log the engine parameters with no need of smartphone’s app. But, there is no point of trying it because of the connection issue. 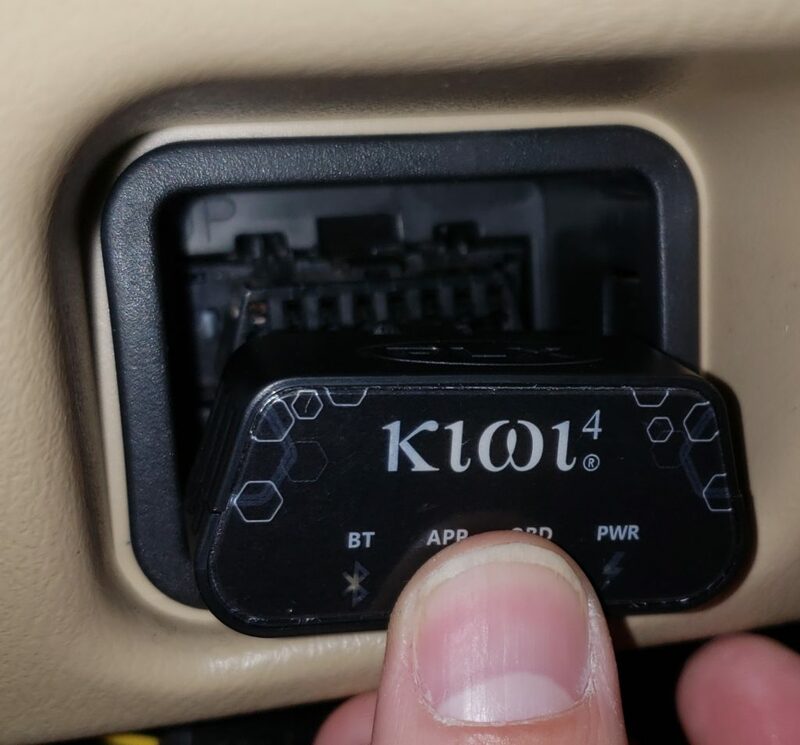 Kiwi 4 OBD adapter is not reliable. There are some issues on the adapter. First, it is physical. The adapter looks small. It actually is stubby but wider than most of OBD adapters on the market. It doesn’t fit on some vehicles without an extension cable. Second, sometimes it’s hard to establish the communication with ECU. It happens when re-opening and switching the apps. Lastly, it’s expensive. A regular price is $149.95. Even if there were no issues mentioned above, the exclusive features of Self-Run mode and Kiwi app wouldn’t be worth the price. At the time of writing, Kiwi 4 is available at PLX Devices website or eBay.com. There are other good adapters. For example, OBDLink MX costs $79, and you can use many different apps. 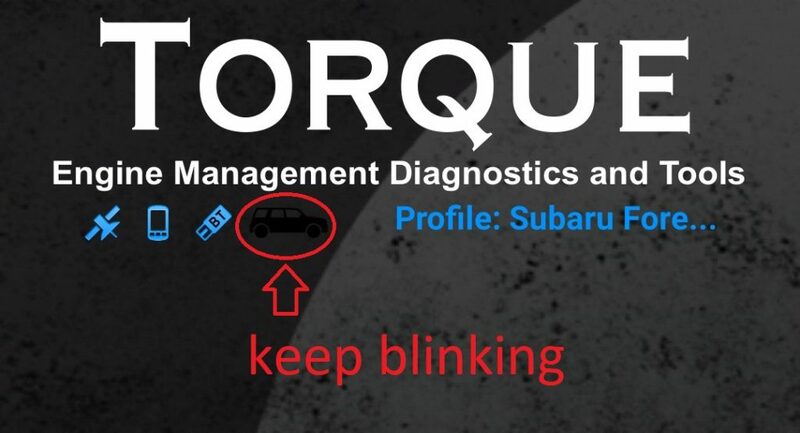 If you need enhanced diagnostics (ABS, SRS, Transmission, etc), OBDLink MX+ ($99). If you don’t mind using no third-party apps, BlueDriver ($99).